I love Christmas. It's a paper crafters dream season! I'm not going to say much about this post...at least not here. 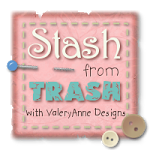 If you head over to the Poppystamps blog page you can find out how I made this tag. 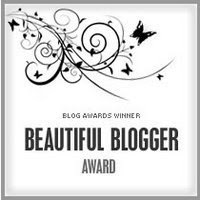 It's my day to be the guest designer....and I'm thrilled to share this tag. I also put a photo of the tag without all the help of the Christmas decorations, makes it a bit easier to see the actual tag! But isn't it fun to adorn things with decoration? I think it is! I do want to say this is a total snippet piece. The inspiration was the wreathe. I'd cut it a month or so ago as a test to size it for a project. I saw it laying in wait on my desk and guess what! It has found a home. A bit of Martha's Coarse glitter and it was perfect. Who doesn't have white snippets laying around? I know I've got plenty! 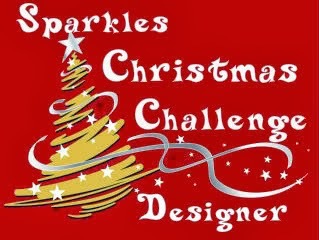 Di at Pixie's Crafty Workshop would love it if you shared your creation with all of us playground folk. Thanks also to Di for introducing me to the Chocolate, Coffee and Card Challenge. I think I may just have to play along after all you can't get much more monochromatic than this tag! OOPS! 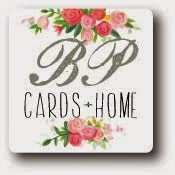 I just read the rules, it's cards only, which is my normal, however, this week I have a tag....but I want you to check out the page, there is a lot of inspiration there! Maybe you can play along with one of your cards. Oops....I was so busy glittering, I almost forgot to take a picture of my desk, well the one I'm now working at. So, let's see, what's there. My envelope maker is peeking out from the left side. My tag laying there, my favorite scissors, well one of my favorites! Christmas decorations, glue and glitter. A mouse pad my son brought me from the Middle East, it's now the pad I use when I rubber stamp and I think of him whenever I stamp. A few projects from days gone by, most waiting to be used on something new. The corner of my Gazelle is hiding behind the decoration basket, and yes, that jar is filled with ground coffee. Not for crafting, but for keeping this crafter going. It will go with me to a crop....I think it's my turn to bring the coffee and creamer! My favorite ruler, I almost forgot to mention it. If you don't already know....On Wednesday many of us share our desks with Julia. If you'd like to play along, I'm sure she'd love seeing your desk too. If you'd like to just have a look at our desks and what we are making hop around and leave a comment or two with those who inspired you! Not long now til Christmas. Hazel keeps us on the up and up, so that we have a few items made for the holidays. 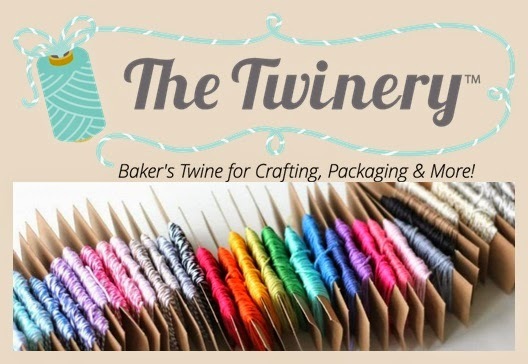 If you'd like to join in....I'm sure there is always room for one more crafter. Hi Mary . . . love this uber cool white on white Christmas tag. PERFECT. Beautiful tag--and you're so right about Christmas being the perfect paper crafter's season!!! Oh I agree...Christmas crafting is fab! Hi Mary! Yes christmas time is near. Wonderful desk! Oh ho I love Christmas...love your tag and think it is absolutely beautiful! Fabulous tag Mary - I'm so into all white right now! Oh my oh my!!! This is a beauty! The white in white is superb and the bit of shimmer is well worth the trouble! Beeyootiful tag. Wonderful staging too - how nice too that you have decorations on your desk. That's because you are a tidy and organized desker. I know the lesson, I just don't seem to apply it! Love the basket for your embellies - don't forget the coffee! No sugar in mine thanks. 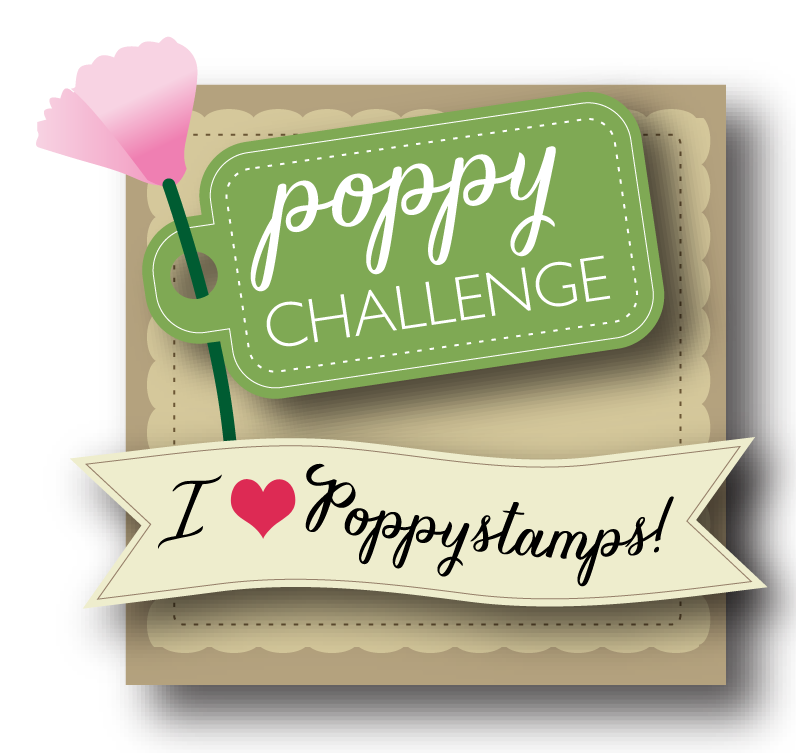 I popped over to the poppy stamps blog for a closer look. I have my official hat on tonight. Thank you for joining in at Crafty Hazelnuts Extra this month. Hugs Mrs A. (GDT).